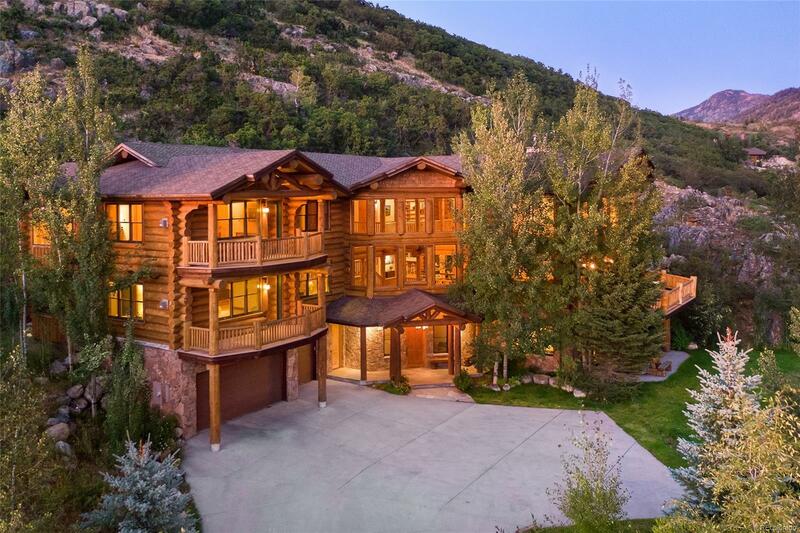 This beautiful log home in the Sanctuary has captivating views of the ski area, Rollingstone Golf Course, Flat Tops, and Emerald Mountain. Unparalleled luxury is found in this10,382sf home with 6 bedrooms including 2 master suites, spacious great room, gourmet kitchen, family/ rec room, movie theater, and loft. An elevator also means moving groceries, luggage & laundry will always be a breeze. The high-end finishes include granite counters, copper & onyx sinks, and reclaimed wood floors. Walk out to the covered patio for a soak in the hot tub with views to the ski area and South Valley. There are also several great hikes from the home with access to greenbelts and the National Forest. Central to everything & yet secluded in the elegant Sanctuary neighborhood this home is perfect for entertaining a crowd, or hosting several generations of a family.